This is a beautiful variegated selection of a popular aromatic plant, used much like oreganon. It grows as a creeping shrublet, up to 30-50 cm tall. The blue flowers are also a nice addition to a beautiful species. 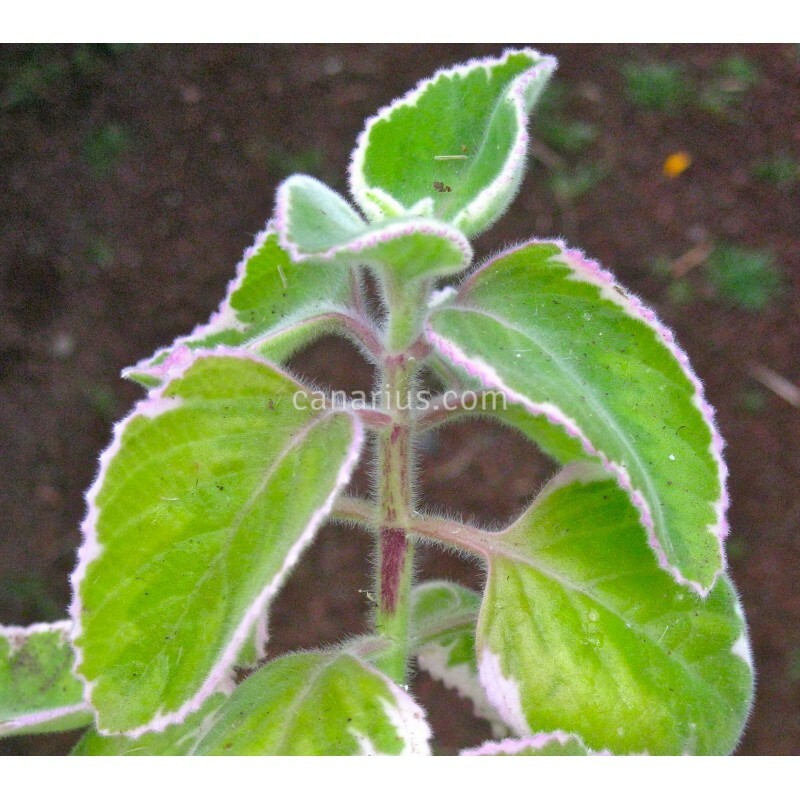 This is a beautiful variegated selection of a popular aromatic plant. This edible plant is grown and used much like oreganon. Beautiful thick, hairy leaves and flowers. It is easy to grow in pots and very ornamental. 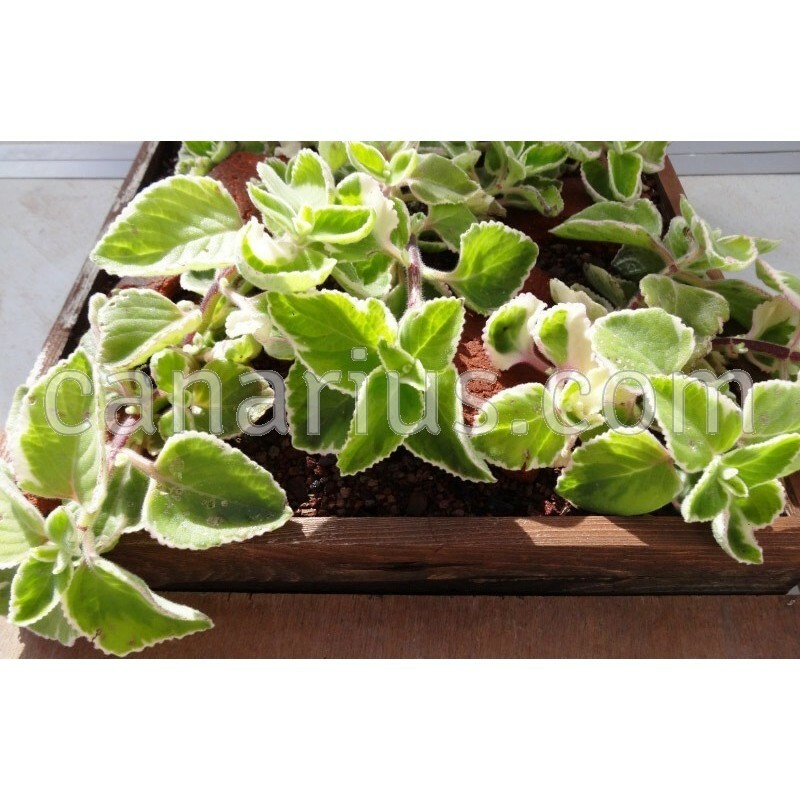 It is a perennial herb, somehow succulent. It growing as a creeping shrublet, up to 30-50 cm tall. It can be rejuvenated by cuttings. The blue flowers are also a nice addition to a beautiful, aromatic species.